Opening in 2019 for Willy Nelson’s Outlaw Festival at Summerfest, he is a star on the rise. 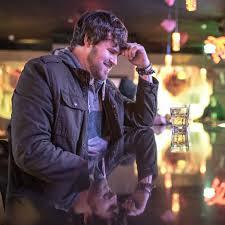 Jay Matthes is an award-winning singer/songwriter from Milwaukee, Wisconsin. His original music has been featured on local, regional and national radio and television, most notably The Country Network where the music video for his song “The Light” is currently in rotation. Jay plays over 100 shows a year, and has shared the stage with national acts Old Dominion, Judah & the Lion, Ike Reilly Assassination, Jana Kramer, Charlie Worsham, and many more. ​Jay was nominated for Singer/Songwriter of the Year by Wisconsin Area Music Industry in 2015, 2016 and 2017, and recently won Best Male Vocalist in Shepherd Express’ Best of Milwaukee. His single “Good Lookin’ Woman” is currently in rotation on 88.9 FM and his new album ‘Dancing After Dark’ was a finalist for ‘Independent Release of the Year’ at the 2017 88Nine Radio Milwaukee Music Awards. Be sure to book your hotel stay at the luxurious Milwaukee Marriott West for the weekend through our link to receive your special discounted rate for 2018. Copyright © 2019 Positively Pewaukee. All rights reserved.